It’s skirt season at And She Made at the moment. 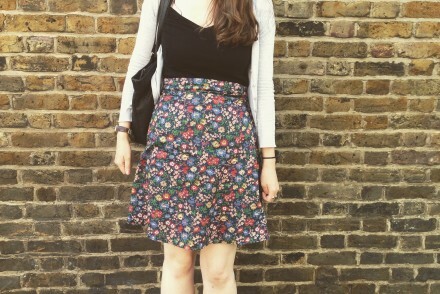 Following on from my last post about skirt inspiration, the Prima pattern, scallop edged skirt and the floral Delphine, a little while ago I also made this skirt. 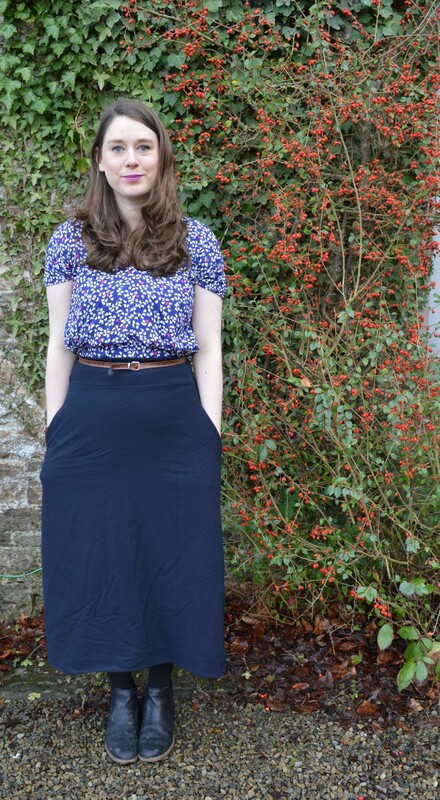 It’s a midi navy blue skirt and the perfect stashbusting project! I made it so long ago I can’t quite remember if I self drafted the skirt or adapted one of my sewing patterns. It’s likely to have been the Delphine if I did adapt it. 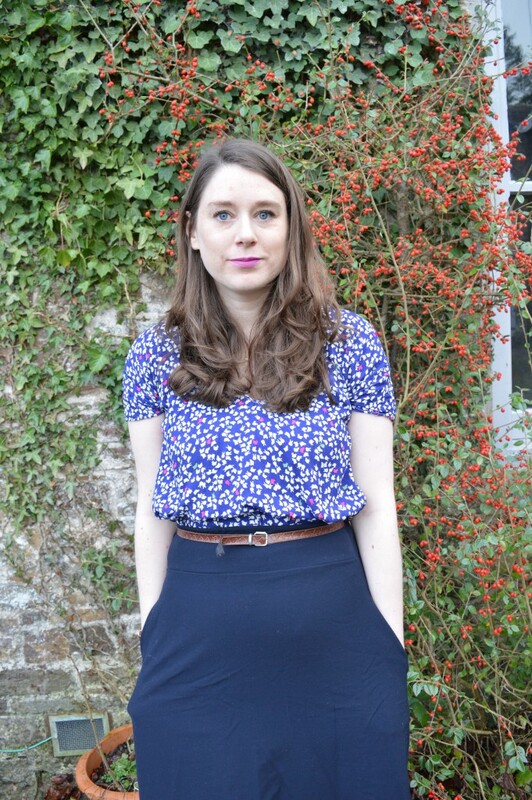 The most important thing to note with this skirt is that it has POCKETS! I made the pockets out of some navy blue polka dot fabric that I didn’t have a huge amount of and the main fabric is a jersey or stretch cotton I think. I think this came from the leftover pile at work so I have no idea what it is actually made of. I eke-ed out the midi length skirt from what I had though and added a zip. It’s the perfect flowy, drapey fabric though and best of all, it didn’t need lining. The only thing I don’t like is how the pockets affect the shape of the skirt and once I’d put them in I wanted to take them out again. So I may do that sometime in the future and this is the perfect replacement until I finally get around to making that circle skirt I’m planning on making. 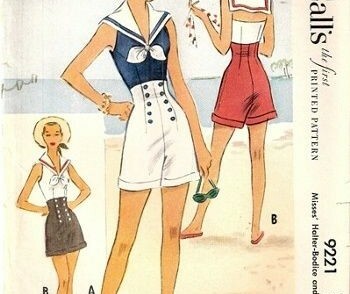 Have you got any plans for bank holiday sewing?